Remember the Opening Ceremonies for the 2012 London Summer Olympics? They were a feast for any fan of British culture, combining the real Queen of England with James Bond, the real NHS with greats of British music and theater such as Paul McCartney and Kenneth Branagh, and a bedtime story read aloud by J.K. Rowling. This was a brilliant strategy for a display of national pride from a kingdom that has seen the decline of its infamously bloody empire, but whose arts remain world class. The events of Lethal White take place during those Olympics, creating a pleasant double effect of a fictional world, written by Robert Galbraith, operating within the timeframes of a real world that includes authorial alter ego J.K. Rowling. Galbraith/Rowling revealed the title a year ago; I wondered, idly, if the central crimes of the book would have something to do with drugs, perhaps. Turns out that they don’t, and “lethal white” means something different. Does “lethal white” also refer to the United Kingdom’s brutal, race-inflected imperialist history? A little bit, yes, in a background but ever-present sort of way. Speaking of race, Rowling demonstrates, once again, noticeable but limited progress in her writing of people of color. 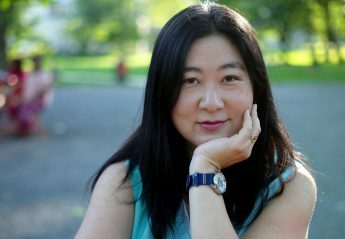 Characters who are people of color read as more natural and fleshed out than in her earlier work, but she still includes a few instances of tokenism, specifying race for people of color and more personal traits for white characters. She has also made noticeable but incomplete improvement in the anti-fat bias that was arguably the most disturbing element of her Harry Potter writing. There are still instances of an anti-fat authorial gaze, but it’s far less severe than the bullying tone she used to sustain. A sensitivity beta could be a big help. For me, the strengths of this book far override any shortcomings. One passage in particular is worth the price of the book for me. It takes place in Chapter 55, pages 488-9, and I read it with eyes wide, heart rate elevated, like the most gripping of suspense scenes — but it is completely domestic, not part of her thriller writing. It calls back to some of Rowling’s most intense writing about Harry Potter struggling with PTSD flashbacks or fighting Legilimency or the Imperius Curse, and it is related to her personal history of fighting back against sexist domestic conflict, as well. She knew she was on the edge of a panic attack, but she held on, and every second she did not dissolve was giving her strength, and she stood her ground. The mindful way that Robin Ellacott asserts herself reminded me of Jane Eyre’s most ringing declarations to Mr. Rochester, and indeed, there’s a reference to Jane Eyre in the very next chapter. In addition to such step-by-step tutorials for feats of inner strength, several other J.K. Rowling specialties make their welcome reappearances. As usual, she builds cliffhangers into her dialogue when characters on the verge of revealing secrets are suddenly, maddeningly interrupted. Delicious. She exposes the horribleness of everyday people, our petty satisfaction in malice, and especially our hypocrisy; it’s especially funny when she reveals that the most unforgivable insult among some protesters is “middle-class.” But many of her most repellent characters are complex creatures who elicit sympathy as well as revulsion. So plosive was the ‘p’ of ‘protest’ that a small piece of potato flew out of his mouth across the table. The shadow stems of the roses closest to the window stretched like bars across the carpet. The Brahms symphony crashed stormily on in the background. ...recognized in Billy’s imploring expression a last plea to the adult world, to do what grown-ups were meant to do, and impose order on chaos, substitute sanity for brutality. This comes close to perfection as an expression of one of Rowling’s central themes. All of her stories chronicle this plea, and the horror if it cannot be answered. Dumbledore always answered it; this is why so many people loved him and were bereft when he died. Infant Tom Riddle never got an answer; the resulting horror made him a monster. Adult Harry Potter came through for his son when Albus Severus made this plea. Credence begged of Grindelwald, “Help me,” and reverted to chaos and brutality when he was rebuffed. The job of adults is to answer this plea. Reading how Cormoran Strike and Robin Ellacott detect order out of chaos feels both satisfying and soothing. Chapter 55 is the single most thrilling part of the Strike series to date, I think my mouth was gaping open the whole time. The p. 505 quote is a delight, almost a central thesis in Jo’s work. Great review – off to type up my own!